The last round of the 2002 Trophy Series, the Sextant Trophy results were added to the points table with the outcome as shown below. ​With only Terry and Vinnie taking part in all three rounds the result was hardly likely to let anyone else in with a chance. The only other possible contender was Mike Ewart who, although entered for the event, was unfortunately incapacitated for the day and unable to attend. Terry proved to be a clear winner with a 56 point lead over Vinnie. HISTORY OF THE 2002 TROPHY SERIES. In 2001 there were no regular open events for R6M boats south of Birmingham. The led to Mark Holt of Broads, Graham Childs of Chelmsford and Henry Farley of Lee Valley putting their heads together to come up with a series of events in the Eastern District. The working title for the series was 2002 Trophy Series and nothing better was ever suggested so it stuck. 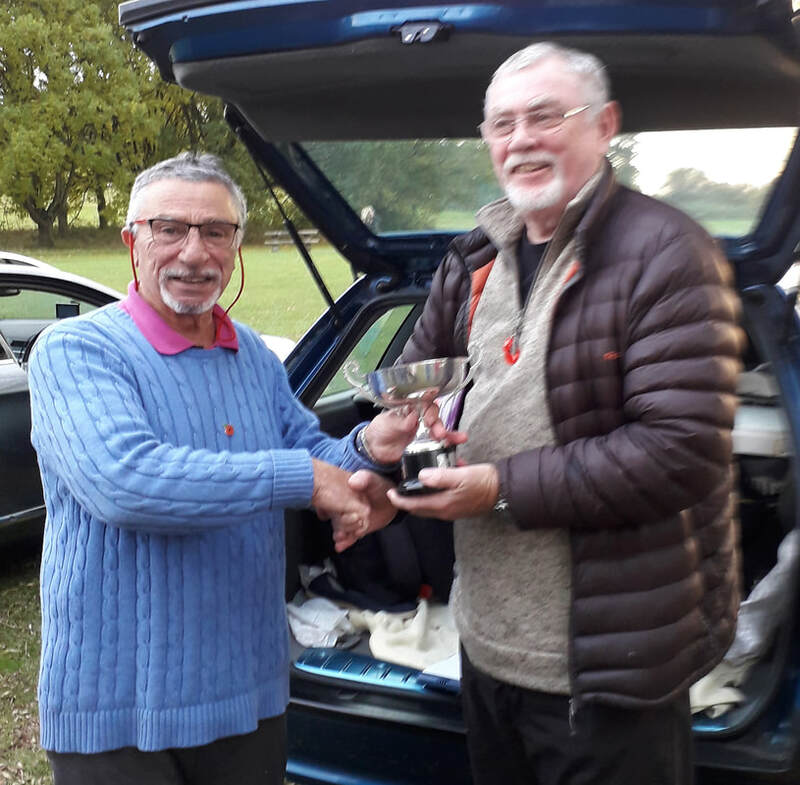 Though it was a private initiative the Six Metre Owner’s Association committee approved the idea to the extent that they generously provided a trophy. With the demise of the SMOA the series was continued by the MYA Eastern District. 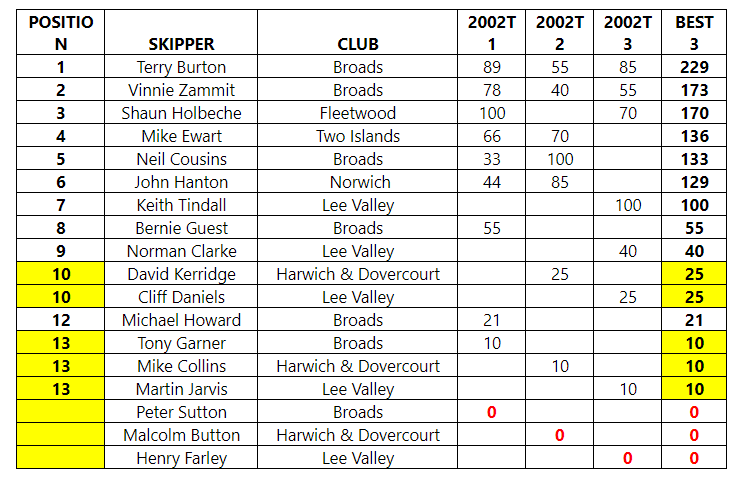 The first series in 2002 involved events at the Broads, Lee Valley, Coalhouse Fort and Harwich & Dovercourt clubs even though at that time the last two did not sail the class. Entries came from the other two plus Gipping Valley, Chelmsford, Two Islands and Southend. For 2003 Gipping Valley agreed to hold and event so we now had 5 sites in the series though varying support has meant that we have never managed 5 events in any year. Eventually support for an event at Gipping got too low for them to want to continue so they bowed out. In the early days the Eastern District Championship was held as a separate event but since 2005 one of the 2002 T series has doubled up as the Championship.